Trick or Treat! Halloween is here and what better way to celebrate than with everyone’s favorite autumn treat, candy corn! Our stylish, battery operated candy corn pillar candle is just the thing to sweeten up your ghoulish Halloween décor. 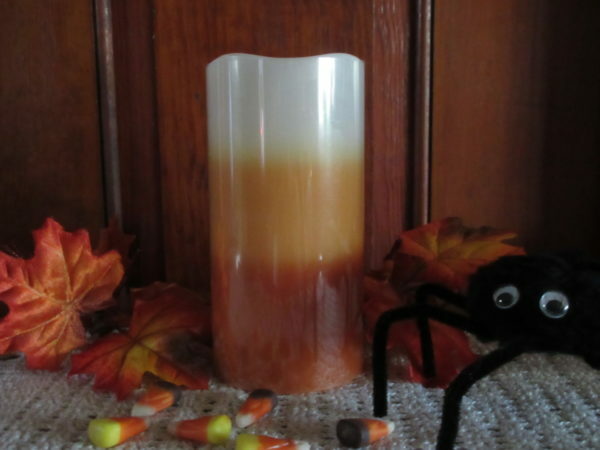 On a dark and dreary All Hallows’ Eve you will be thankful you have our candy corn pillar candle shining brightly in the window, to light your way home! There are enough tricks out there, how about treating yourself to our battery operated candy corn pillar candle? 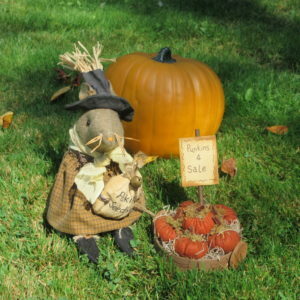 It will make the perfect addition to any Halloween decorations or a great gift for the party hostess who has enough candy! The simple and elegant design will look great whether on the mantle, in the window, or shining bright next to monsters and ghosts. We have taken all the worry out of lighting candles; our battery operated candy corn pillar candle will give you the same warm glow and spooky ambiance without the melted wax or open flame. Layered with orange, yellow, and white, it’s so enticing it may make your mouth water for a sweet treat! To complete the fall look, pair our battery operated candy corn pillar candle with our honey comb or mummy candle to make your house the spookiest one on the block. While the children are out trick-or-treating for real candy corn, you can relax by the glow of our candy corn candle and sneak one or two pieces from the bowl, we won’t tell!